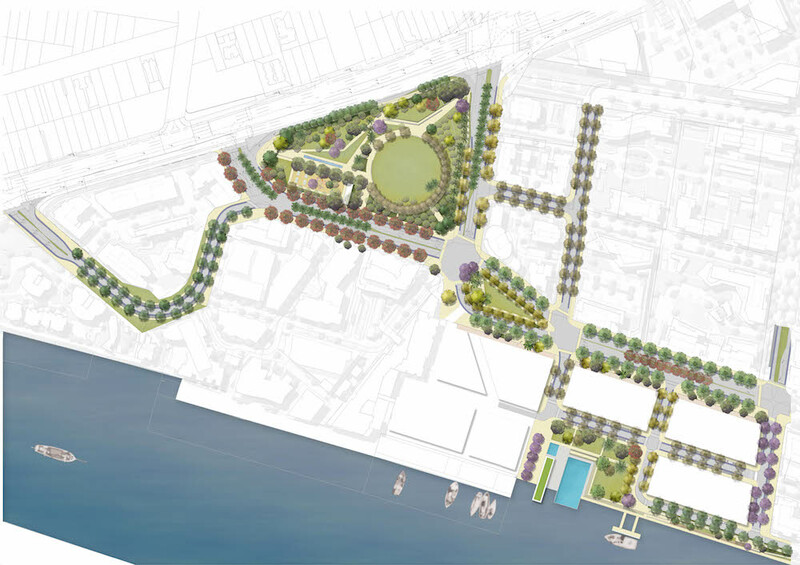 Andersen Hunter Horne (Environmental Partnership’s international landscape architectural collaboration) was appointed by Economic Development Queensland to provide a range of services for ongoing development of the core river front town centre precinct of the Northshore Hamilton urban renewal area. The river is the heart and soul of Brisbane. At Hamilton the flat river foreshores have historically been the home of industry and docklands servicing local industries. These industrial lands have been targeted for urban renewal, enabling a “rediscovering” of the river and its frontage within the precinct and the greater City context. Northshore Hamilton is a key addition to the legacy of Brisbane riverfront, being the most significant waterfront redevelopment in Brisbane since Expo 88 and South Bank. AHH initially prepared and public domain masterplan and public domain guidelines to shape concept design for the streetscapes and new public open spaces for the new precinct. This required an extensive process of collaboration and liaison with authorities to ensure that the street infrastructure realised an urban pedestrian pedestrian environment of high amenity that emphasised pedestrian priority. The project has been significant in the refinement of the approach to off road / separated cycle facilities in Brisbane. Through a long and comprehensive collaboration with Brisbane City the separated cycle facilities are being implemented. The Queensland government has since released its own suite of cycle planning and design guidelines through the TMR Qld body. AHH provided the detailed design documentation for the streetscapes completed on site in 2018. 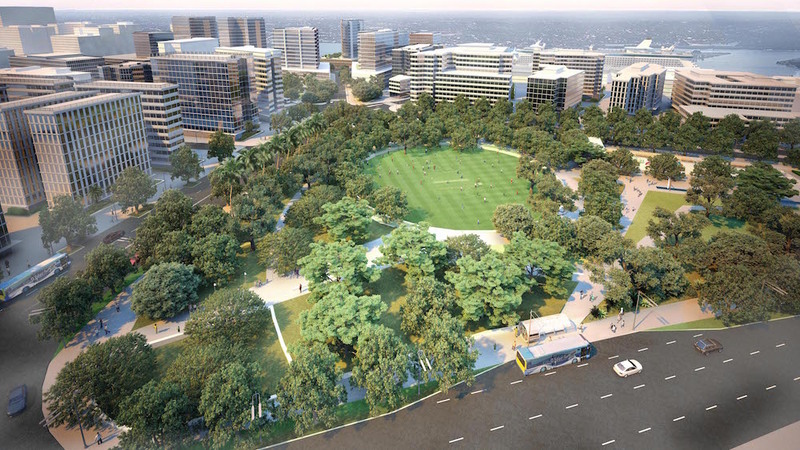 AHH’s work has continued with the development of concepts for a significant new open space to be known as Hercules Park at the gateway to the precinct adjoining Kingsford Smith Drive. This new green space will provide a welcoming haven featuring a central village green, multi-use open space, new tree planting, seating and picnic facilities, interactive water feature, exciting new playground, fitness equipment and off leash dog play area. The detailed design and documentation work is nearing completion and we look forward to seeing construction commencing in 2018.